viii. surveillance of premises and ATMs. iii. to comply with local or foreign law, regulations, directives, judgments or court orders, government sanctions or embargoes, reporting requirements under financial transactions legislation, and demands of any authority, regulator, tribunal, enforcement agency, or exchange body. ii. for marketing purposes, promotional events, competitions and lucky draws. To request a copy of the personal data you have given to us in a machine readable format. 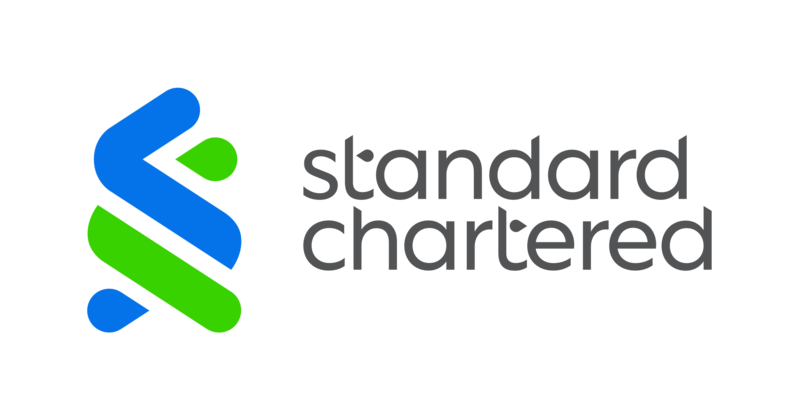 This Privacy Statement relates to the collection, use and disclosure of personal data, including special or sensitive personal data, by any member of the Standard Chartered Group (“SCB”, “we” or “our”). In this Privacy Statement and related contractual terms and policy documents “Personal Information” or “Personal data” is information relating to an individual (“you” or “your”) and “data subject” has the same meaning as “individual”. Personal data we collect in respect Corporate and Institutional Banking, Global Banking and Commercial Banking (collectively “Corporate and Institutional Banking”) relationships is primarily limited to the information on Directors and Officers, direct and indirect beneficial owners and authorised persons we need to enable us to meet our due diligence obligations, signatory details and contact information of individuals we interact with to enable the provision of services to a Corporate and Institutional Banking entity. The data controller of your personal data is the SCB entity you have a relationship with. Our Head Office functions may also be the controller of your personal data. A list of SCB entities can be found here. If you have or are party to more than one account with SCB, or to a Private or Retail Banking relationship, we will link all your Personal data to enable us to have an overall picture of your relationship with us. ix. to comply with: local or foreign law, regulations, directives, judgments or court orders, government sanctions or embargoes, reporting requirements under financial transactions legislation, and demands of any authority, regulator, tribunal, enforcement agency, or exchange body. We may also process your personal data in line with any voluntary codes; to effect agreements between SCB and any authority, regulator, or enforcement agency; to comply with policies (including the Standard Chartered Group’s policies) and good practice standards where it is in our legitimate interest to do so. Personal data is also processed where it is in our legitimate interests to seek professional advice, including, in connection with any legal proceedings (including any prospective legal proceedings), for obtaining legal advice or for establishing, exercising or defending legal rights. Personal data may be transferred to, or stored at, a location outside of your country of residence, which may not have data protection law. The security of your personal data is important to us. SCB has technical and organisational security measures in place to safeguard your personal data. When using external service providers, we require that they adhere to security standards mandated by SCB. We may do this through contractual provisions, including any approved by a privacy regulator, and oversight of the service provider. Regardless of where personal data is transferred, we take all steps reasonably necessary to ensure that personal data is kept securely. You should be aware that the Internet is not a secure form of communication and you must not send us any personal data over the Internet as this carries with it risks including the risk of access and interference by unauthorised third parties. Information passing over the Internet may be transmitted internationally (even when sender and recipient are located in the same country) via countries with weaker privacy and data protection laws than in your country of residence. There may be specific terms and conditions in our banking and product agreements that govern the collection, use and disclosure of your personal data. Such other terms and conditions must be read in conjunctions with this Privacy Statement. We process your personal data for these purposes because it is in the interest of our business to do so with the intention of improving our products and services and generating business. We will not send you marketing material if you have specifically asked us not to do so. You have the right to opt out of receiving marketing material on behalf of the corporate or institutional entity that you represent at any time. To do so please contact your relationship manager. If you change your mind and ask us not to send you marketing material or other promotional or research material you have subscribed to receive, we will need to retain a record that you have asked us not to do so to ensure that you do not receive anything further. Subject to applicable law, regulations and/or banking industry guidelines, you may have the right to request a copy of the Personal data processed in relation to you. SCB may be allowed by law to charge a fee for this. You can request at any time that we correct your personal data at your branch or through your relationship manager. In some circumstances you have the right to ask us to delete your personal data, for example if we no longer have a valid reason to process it. In some circumstances you may have the right to object to how we process your personal data but this does not mean you can decide or choose how we process your personal data other than in relation to marketing. If you have any concerns about how we process your personal data, please discuss this with your Relationship Manager. We may not be able to offer the services if you do not want us to process the personal data we consider it necessary to provide the services. In some circumstances you may have the right to restrict how your personal data is processed. If you have a complaint in relation to the processing of your personal data and you are not happy with the way we deal with it, please discuss this with your Relationship Manager, or contact the Global Head of Privacy. When you provide personal data for the above purpose, we will only use your personal data for the purpose provided and for statistical analysis. You can unsubscribe from receiving our publications and research at any time. We may be asked by a client to effect a transaction to the benefit of an individual who may not have a relationship with SCB. The personal data processed will generally be limited to your name, bank account number and contact details. The data controllers will be the entity that effected the transaction and our Head Office. We will determine if a payment beneficiary has a relationship with SCB. We cannot effect a payment if we are not provided with personal data we need to meet our legal and regulatory obligations. to comply with local or foreign law, regulations, directives, judgements or court orders, government sanctions or embargoes, reporting requirements under financial transactions legislation, and demands of any authority, regulator, tribunal, enforcement agency, or exchange body. We may also process your Personal Data where it is in our legitimate interests, to seek professional advice, including, in connection with any legal proceedings (including any prospective legal proceedings), for obtaining legal advice or for establishing, exercising or defending legal rights. Personal Data may be transferred to, or stored at, a location outside of your country of residence, which may not provide the same statutory protections for your personal data. The security of your personal data is important to us. SCB has technical and organisational security measures in place to safeguard your personal data. When using external service providers, we require that they adhere to security standards mandated by SCB. We may do this through contractual provisions, including any required by a privacy regulator, and oversight of the service provider. Regardless of where personal data is transferred, we take all steps reasonably necessary to ensure that personal data is kept securely. We retain your personal data in line with our legal and regulatory obligations and for business and operational purposes. To request that we correct your personal data. To object to how we process your personal data. This does not mean you can decide or choose how we process your personal data other than in relation to marketing. To restrict how your personal data is processed in certain cases, such as when the accuracy of your Personal Data is contested. This Group Recruitment Privacy Statement relates to the collection, use and disclosure of your Personal Data throughout the recruitment process by any member of the Standard Chartered Group (including affiliates and subsidiaries) (“SCB”, “we” “our” or “us”). The personal data we process in relation to you is provided by you, third parties, collected through the SCB website, publicly available sources or generated during your application for your employment with us, through any media. We may also process sensitive or special personal data where relevant to the recruitment process, including where necessary to accommodate any disability needs. We also process personal data provided by you in relation to third parties when it relates to your application for employment with SCB such as details of your referees or declaring close personal relationships, close financial relationships, client and business partner connections for the purpose of protecting SCB and its customers from conflicts of interest, fraud and other financial crime. It is your responsibility to ensure anyone about whom you provide us with personal data is made aware that you are providing their personal data and for what purpose. We collect your Personal Data when you submit a job application and/or create a profile through our Careers, Graduate Recruitment, or approved third party websites (the “websites”). LinkedIn: Personal Data contained in the following fields: name, headline and summary, job title, current employer, employment history, recommendations and contact details made publicly available (such as phone number and email address). Your LinkedIn connections are not collected. Facebook: Personal Data contained in the following fields: first name, last name, email, employer and job title. Your “likes”, “comments”, “friends lists/details” and “wall posts” are not collected. We will not collect your photographs or videos from any Social Network Site unless you submit a photograph or video voluntarily as part of your recruitment application. Your Personal Data may be provided to SCB by recruitment agencies with whom you have registered an interest in working for SCB. Where a recruitment agency refers you to us, a profile will be created for you in our recruitment database based on the information provided and you will receive a notification asking you to log in and complete your candidate profile through a website. Candidates who do not log in and complete their profile within one month will have their profile deleted. Records will be maintained of who decided not to progress so that they are not contacted again. Your Personal Data may also be collected from third parties during the recruitment process such as references from previous employers. SCB operates globally and any authorised employee, agent and adviser in any country may be involved in processing your recruitment application. They may have access your full candidate profile, interview record psychometric test and background screening results. In some circumstances, we may provide your personal data to a third party who will determine how and why it will be processed. For example, where allowed by law we may require successful candidates to complete a pre-employment health assessment. The Group is an equal opportunities employer committed to a diverse and inclusive workforce and will always consider any adjustments which could be made to accommodate ill health or disability. Personal data is retained as long as necessary for the purpose for which it is collected and to meet legal, regulatory and operational requirements. Retention periods may differ for each country. At the end of the retention period, non-identifiable data is kept for management information purposes. SCB may also retain your contact information for the purposes of inviting you to join our Talent Network. If you join our Talent Network, you will receive information about SCB, invitations to events and/or receive information regarding job opportunities that may be relevant to your skills. If you choose not to join the Talent Network, we will record that fact and will only retain the minimum personal data necessary to ensure you are not contacted again about the Talent Network. The security of your Personal Data is important to us and SCB implements technical and organisational measures to safeguard your personal data. As an international organisation, SCB manages its people resources on a global basis and authorised personnel may access your Personal Data in any country in which SCB operates. Your Personal Data may therefore be transferred to employees, agents, advisors or third party service suppliers, and other third parties authorised to act on our behalf in countries that may not offer equivalent data protection or privacy laws to that of the country where you are located. When using external service providers, we require that they adhere to security standards mandated by SCB and regardless of where personal data is transferred, we take all steps reasonably necessary to ensure that it is kept securely. If you are applying for a position in the European Union (“EU”) and your personal data is processed in a country outside of the EU, we will put in place contractual clauses approved by the EU Commission as providing an adequate level of protection. You should be aware that the Internet is not a secure form of communication and sending and receiving information over the Internet carries with it risks including the risk of access and interference by unauthorised third parties. We do not accept responsibility or liability for the confidentiality, security or integrity of your Personal Data in connection with its transmission over the Internet. If you choose to create a profile on any of our websites or any other recruitment channel, it is your responsibility to maintain and update the personal data provided by you in your profile and SCB may from time to time request, via email that you update your Personal Data to ensure it is accurate. You can access, update or delete your Personal Data in your profile at any time. Psychometric assessments may be undertaken to measure some aspects of performance including technical skills, and/or personality traits such as temperament or situational judgement. Specialist third parties are used to decide which assessments are relevant to use, as well as to administer them and assess the results. Some assessments may be used to determine whether you progress to the next stage of the recruitment process. If you do not consent to psychometric assessments where we deem it appropriate as part of the recruitment process, your application will not be able to be progressed. If you are offered a position with SCB, the accuracy of the personal data you have provided will be verified by our third party background screening vendors. A criminal record search will be undertaken where allowed by applicable law. You may also be required to consent to such checks being undertaken. If you do not give your consent where required, we will not be able to continue with the recruitment process including the withdrawal of an offer of employment. SCB has a policy on the recruitment of ex-offenders which is available on request. We may also use the services of a credit reference agency (“CRA”) to verify public information such as county court judgments, bankruptcies, decrees and administration orders. The CRA will record that such a search has been made about you but it will not affect your credit rating. Where there are anomalies or discrepancies you will be contacted by a recruitment specialist and you may be required to supply further personal data to enable further enquiries/verification to be completed. If you do not provide information where requested, provide misleading, false or inaccurate information or withhold any material information, we reserve the right to stop the recruitment process including withdrawing an offer of employment. SCB recruitment activities are generally not aimed at minors. If you are a minor in the relevant jurisdiction, you must obtain the consent of your parent or guardian before contacting SCB in relation to recruitment. The Group Recruitment Privacy Statement does not apply to third-party websites where SCB online recruitment advertisements are displayed or to linked third-party websites which SCB does not operate or control. The Group Recruitment Privacy Statement may be updated from time to time and it is your responsibility to visit our websites regularly for the most recent version. If you are registered to receive job alerts or other information and then subsequently you no longer wish to receive such information from us, you have the option at any time to amend your profile choices so as not to receive such job alerts and/or other information from us. You may have the right in some circumstances to ask for some of your personal data to be deleted, for example when there is no longer a valid reason to process it. This is not an absolute right to have any personal data deleted that you wish. If we undertake any profiling that will result in an automated decision relating to you, we will do so on the basis we think it is necessary in relation to your recruitment or with your consent; we will let you know and you will have the right to discuss the decision.